THE CHIEF EXECUTIVES of semi-state bodies will in future face a new pay ceiling that will dramatically lower some of their wages – but still leaves them earning more than the Taoiseach. The new ceilings, announced by public expenditure minister Brendan Howlin this lunchtime, will see future CEOs of commercial state companies have their annual pay capped at €250,000 – the same salary as the next President of Ireland. Future appointments to higher positions in the public service will also face new ceilings 0f €200,000 – exactly the same wage earned by the Taoiseach. 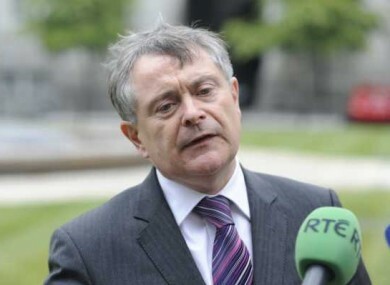 Howlin said that the caps would be implemented so that the current ‘weightings’ between different state-owned companies, where some CEOs earn significantly more than others, would be maintained. The minister conceded that some exceptions to the pay ceilings would be necessary, in cases where the person being appointed to a role had “exceptional or scarce expertise” – but Howlin added that he have to give prior approval for those exceptions to be made. The caps will mean that some of the highest-paid public servants could be reduced by as much as half – with the NTMA’s John Corrigan, one of the top-earning CEOs, currently on a basic salary of €490,000. Corrigan’s predecessor Michael Somers famous earned just over €1m in the same position in 2008, between standard pay and bonuses. The new ceilings will be given legal effect in measures being tabled in the Dáil in the coming days. The caps do not apply to the country’s judges, because of the Constitutional ban on reducing their wages while in office. A referendum on removing that safeguard will be held in October alongside the presidential election. Email “Government lowers pay ceilings for semi-state chief executives”. Feedback on “Government lowers pay ceilings for semi-state chief executives”.